One in four travellers don’t buy travel insurance! One in four travellers don’t bother taking out travel insurance, research shows. 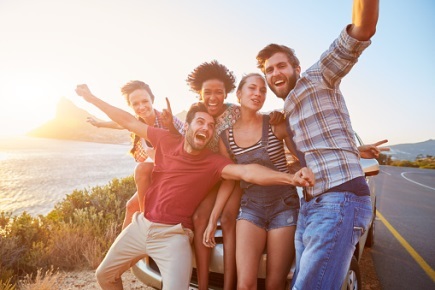 New figures reveal that almost one in four people do not take out travel insurance for their holidays, with young people aged between 18 and 24 less likely to pay for the safety net. The study of 1,000 people was conducted by York-based healthcare provider Benenden which showed that the reluctance to take out insurance is more pronounced among those who travel within Europe, with more than a third saying they do not bother. Figures also show that one in ten has previously needed hospital treatment when abroad. The healthcare provider survey found that 23% of people don’t take out travel insurance when they go abroad, rising to 34% for trips to Europe. The study also shows that one third of those surveyed had a lack of knowledge about the European health insurance card, which gives European citizens the right to access state healthcare during their stays in other European Economic Area countries and Switzerland for free. Meanwhile, 82% of those surveyed didn't know that the European emergency number was 112. If you are travelling abroad this summer it is vital to get travel insurance in the eventuality of an unexpected medical emergency or even something as simple as a lost or damaged baggage. It’s important to choose an insurance that won’t make a dent in your spending but still give you peace of mind when you are on holidays. Discount Insurance police offers a wide range of different travel insurance options including free cover for kids, free cover for over 50 activities and sports from jet skiing to bungee jumping and also a free policy card, which makes it easy and convenient for you to carry your insurance details with you whilst you're abroad. If you are going away this summer then get a quick QUOTE today!